Think of Good Zing like Yelp or GoCompare, but instead of finding restaurants or insurance, it is for finding health tips for all your everyday health and wellness issues. 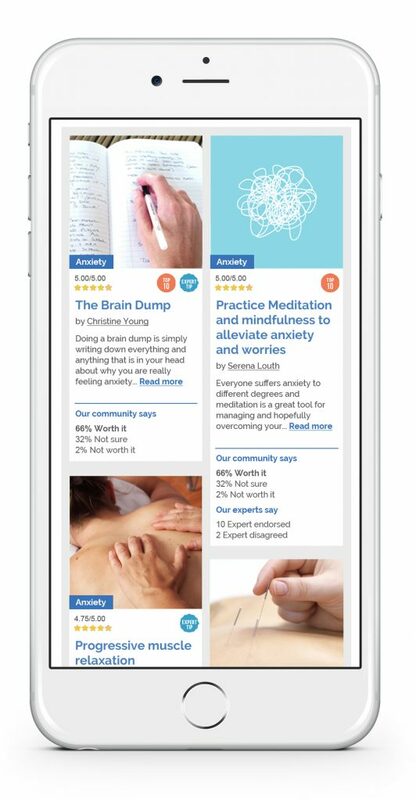 We are a web based platform bringing together user-generated and expert remedies, tips and tricks from around the world into one place, allowing users to have a menu of options to treat themselves of everyday complaints, whilst incorporating advice from a wide range of health experts. All the tips are rated and reviewed, both by the crowd and also the experts. The mission is to democratize access to health information for specific problems through crowdsourced and expert knowledge. 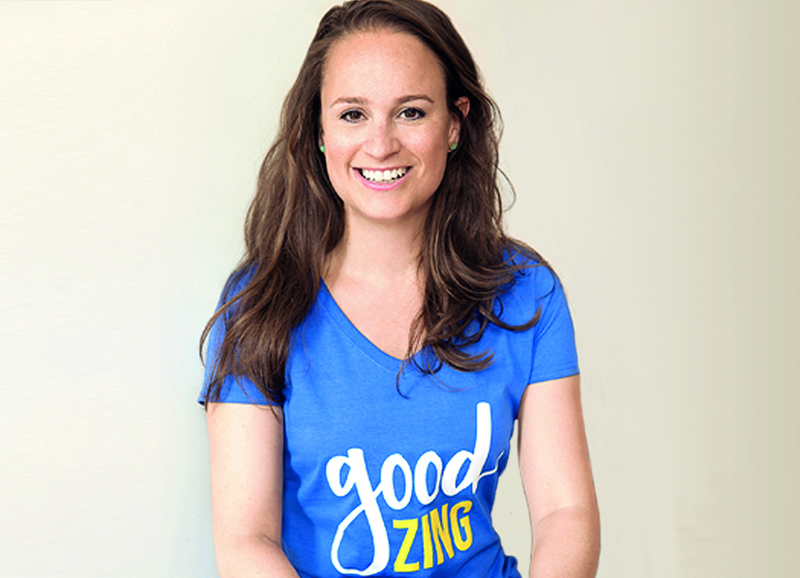 We caught up with Serena Oppenheim from GoodZing to hear about her entrepreneurial journey. What were you up to before you started your company? Before starting Good Zing, I did an MBA at Columbia Business School. I started 2 different ventures whilst studying, both that failed quickly, and a I learnt a lot of lessons from these experiences. Before that I worked in renewable energy projects focusing on developing windfarms. The key problem we are trying to solve is health literacy and the impact that is having on communities. According to the NHS, 5.2 million GP visits last year alone were for a blocked nose and 40,000 were for dandruff. Did you know that 1 in every 20 google searches is health related? 80% of Americans and 60% of Europeans search online for health. Of these numbers, 53% say that they are looking for a solution or remedy. The problem is that the search results are overwhelming and often unverified. Information is heavily fragmented between diagnosis, pharmaceutical focused, alternative health, blogs & forums and issue specific sites. In addition, the majority of these sites do not have a clear rating and review system so it’s very hard to identify what solutions people (and experts) actually think work. What are your key activities towards solving this problem? The whole platform is designed to help give people tried and tested information on health tips. Before designing the platform we spent a lot of time talking to, and watching people as they searched online for health information. The level of dissatisfaction was extremely high as people struggled to find the information they were looking for. 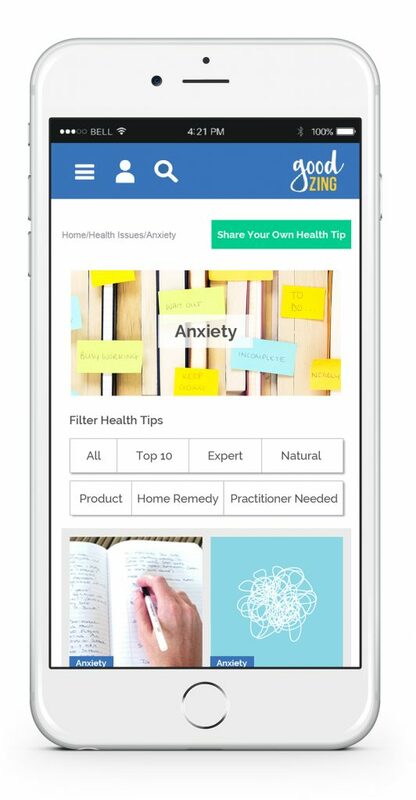 The platform is exceptionally simple to use, say you are looking for a tip to help with Anxiety, or for a Cold, all the tips are listed under that word, with clear filter buttons so you can look for Top 10, Expert tips only, or filter according to whether you want to look for a natural tip, a product or so on. You can then see the different steps to take, the ingredients as well as peoples’ and health & wellness experts responses to the tips. Would you recommend starting a company with a cofounder? I am often very envious of co-founding teams, with the caviat, when they work. When co-founding teams are in sync with very different skill sets its very inspiring. 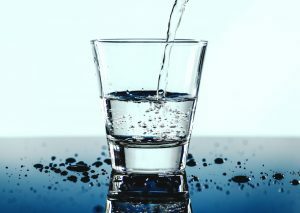 On the flipside I have seen and heard so many stories of co-founding teams where it has been the downfall of the company, that people’s motivations, work ethic and so on actually cause more problems. I started the company as a sole founder out of circumstance, both geographic and time. If circumastances had been different, then I would have loved to have a co-founder. We just launched the platform in May – and are seeing really great growth. We don’t yet have clear impact numbers however we do have emails and user stories which have filtered back to us. 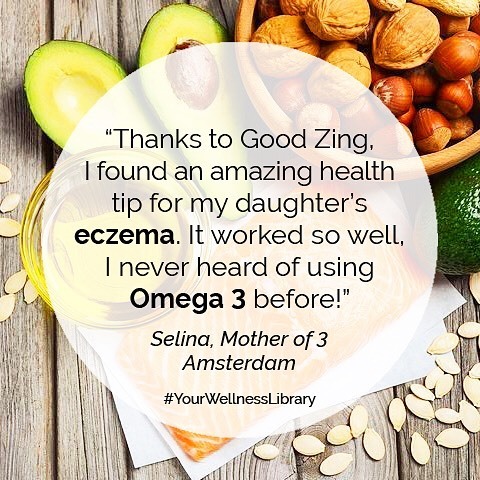 For example, one mother emailed us to thank us because she found a solution to her daughters very bad eczema, where the doctor was trying to prescribe steriods and she wanted to find an alternative solution, which she did on Good Zing. How did you find partners that believe in the same ethical standards as you? We are very lucky in the health and wellness space as the vast majority of companies and founders I have met with all have a similar mission – they want to help people. 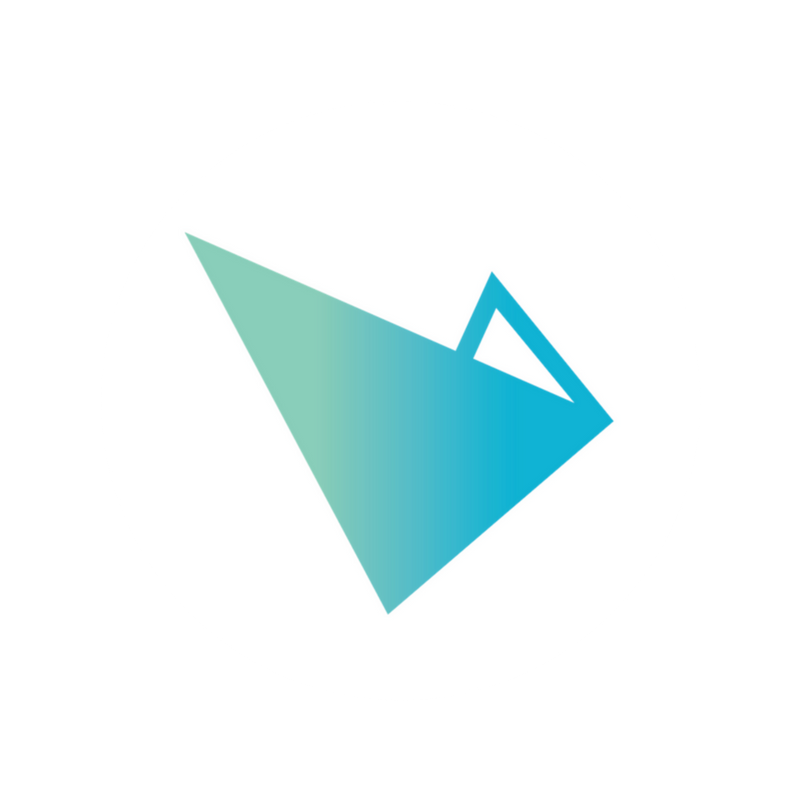 Whether they want to help them by providing the best tumeric product like Wunderworkship, or like Thriva, the blood testing kit company, or VITL, with their vitamins and nutrition app, their mission and ethics are very similar to ours, to help people and help democratise access to the best health information. As a result there is a very collaborative approach amongst the majority of the teams you meet and so we have found fantastic companies to partner with. I was (and still am!) very proud of winning the 2016 Business of Wellness Pitch contest, as well as being voted People’s Choice. We were competing against such innovative and interesting companies, so we were thrilled to have been given that public validation. Tell us a bit about your future plans and projects. We are really focused on growing the content of the platform, putting out more topics for example, Arthritis, more categories for example more exercise related topics. As well growing the number and the breadth of the experts on the site. My advisor and friend Lisa Winning, founder of HeTexted, said to me when I was starting the company, ‘the only thing holding you back is you’. And honestly, it is so very true. It sounds simple but it is something I know that I often forget. Fear holds so many of us back from really going for something, and whenever I feel scared, I think of this statement. What advice do you have for entrepreneurs when facing adversity? Two things: sleep and meditation. 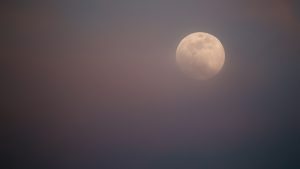 Sleep sounds like common sense, however, as every founder knows when you are faced with adversity sleep becomes elusive. Whether it’s because you are up all night trying to finish a piece of work or up all night because you are so worried you can’t sleep. Without a good nights sleep your ability to function decreases as well as your ability to make sound judgments and so your business suffers. Meditation is key as it gives you that time when you are awake to ground yourself, to focus on something which isn’t your work. I practice a form of meditation called Vedic meditation every morning for 20 minutes before I even look at my phone. On days when I forget or say ‘I don’t have the time’ my days are less efficient, I procrastinate more, I think less clearly, and I find it harder to switch off at night to get that much needed sleep. Anyone who has managed to build a company and also change the world for the better. It’s hard enough starting a company from scratch, but doing so and having a positive effect on the world is extremely inspirational. What’s a book you always recommend and why? I just finished Arianna Huffington’s The Sleep Revolution which I really enjoyed. For anyone not yet convinced by the importance of sleep (and I am talking a full 8 hours) and the impact a lack of it has on your body, read it! What are your top three tips for aspiring social entrepreneurs? The great thing about social entrepreneurs is that they are usually passionate – just make sure your passion is aligned correctly with your venture. Be part of a community of people growing their own companies so that you have people who are going through the same things you are. And trust your own instincts. When you start a venture everyone will give you their advice and their opinions, often a lot of it conflicting. Take it, listen to it carefully, but remember this is your company and you have to trust your own opinion. Crowdfunding and support for products doing good in the world. We use this blog to champion social entrepreneurs prioritising purpose + profit. What happens to our sleep as we age? UpEffect Blog © 2019 All Right Reserved.